The contest is open to all Indian citizens aged 18 or above with the exception of employees, their immediate family members, agents, distributors, retailers and any other channel partners of ECPL residing anywhere in India and abroad. The participants can submit their entries through Eastern’s official Facebook Account (www.facebook.com/eastern.in) or Twitter Account (eastern_in) or instagram (eastern_in) .To participate in the contest one must follow official twitter handle/ Instagram/Facebook account. 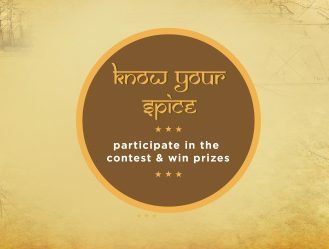 The contestants have to use the hashtag #KnowYourSpice and tag Eastern. The winners will be announced on Eastern’s social media accounts. Winners will be required to send in their contact details to [email protected] or to the social media accounts of eastern.